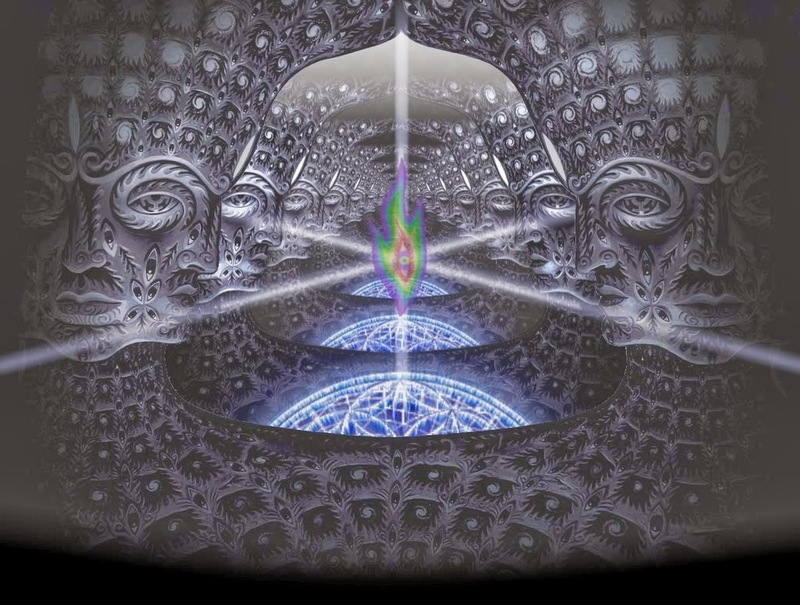 From blasting off through a dark tunnel to encounters with the divine, Dimethyltryptamine (DMT) has been notorious for sending its users into otherworldly places and experiences. Let’s start with a basic question. DMT is a naturally produced chemical compound found in an array of mammals and plant life. In humans, it is believed that the Pineal Gland in the brain produces this chemical during REM sleep and death, although this theory has yet to be fully confirmed. While the production of DMT in the brain is a mystery, the effects it has on human consciousness is much more of an enigma. What one has to understand is the intensity and dreamlike nature of the DMT experience convolutes how well it is processed by the user. Therefore, it is hard to give a definitive answer as to whether or not the experience has a general order to it. Although the experiences and their results are quite subjective, I believe through several encounters with DMT and information I’ve gathered from fellow explorers that I have been able to map out 3 common phases of a DMT trip. Here I will give a brief description of each stage and what I believe they mean. I’d like to ask the reader to keep in mind that these are not absolute “rules” to the experience; this is simply a theory I have developed in attempts to understand an astonishing spiritual experience.